Members of the Lake Ray Roberts Rotary club were present for the Bike Giveaway at the Pilot Point Elementary school for the 5th SixWeeks. This year the Lake Ray Roberts Rotary Club is supporting the Pilot Point Elementary School with a drawing every 6 weeks for students with perfect attendance to receive a free bicycle, one boy and one girl. The Lake Ray Roberts Rotary Club and Wal-Mart Crossroads is sponsoring this program. 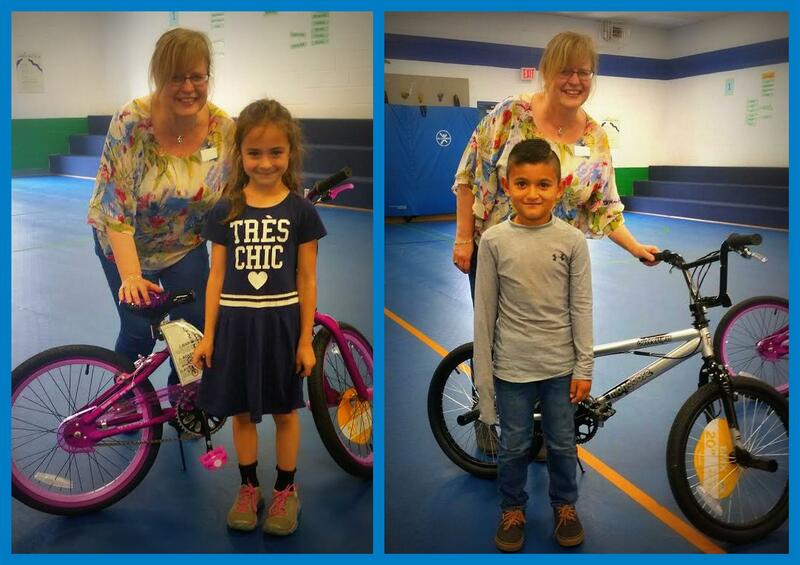 The fifth six weeks bicycle drawing winners were: Erik Martinez- 1st grade and Elle Harrington Kindergarten Congratulations! Keep up the perfect attendance! This was our final Bike Giveaway for this school year. We thank Wal-Mart for their support for this program.